NEW DELHI: Seaplane operations will soon be a reality in four islands of Andamans with the opening of its bidding process, under an ambitious project to attract more tourists to the picturesque archipelago, officials said on Sunday. Seventeen islands in Andamans have also been identified for holistic development, that include building infrastructure, to promote tourism. 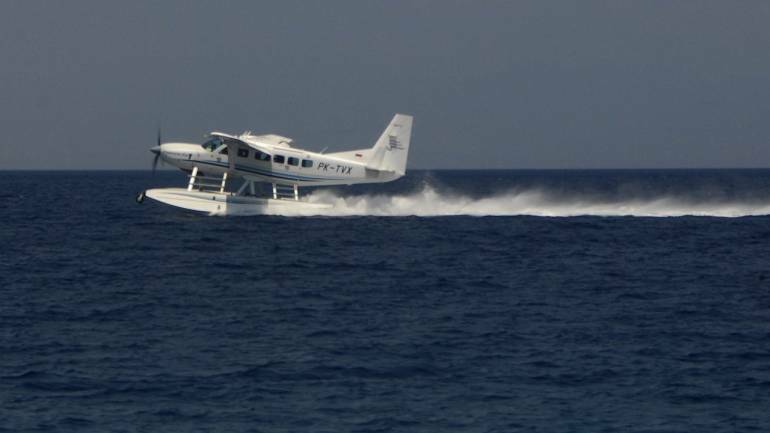 Bidding has been opened for seaplane operations at four locations in Andamans, Swaraj Dweep, Shaheed Dweep, Hut Bay and Long Island, under the UDAN Regional Connectivity Scheme of the Centre, a Home Ministry official told PTI. With the civil works completed at Diglipur airport on the northern tip of Andamans, air operations by Andaman Airways are set to commence from June 2019. Additional airfields are being explored at Car Nicobar, Campbell Bay and in Port Blair, for a second airstrip, the official said. Port Blair has already been declared as an authorised immigration check post for entry into or exit from India with valid travel documents for all classes of passengers. Paving the way for “Ease of Tourism”, as many as 30 islands have been exempted from the Restricted Area Permit (RAP) regime. The requirement of mandatory registration of foreigners arriving in the island within 24 hours of their entry has also been done away with. The key sectors identified for the holistic development of Andaman and Nicobar islands include infrastructure, tourism, green energy and skill development. To begin with, five Islands — Avis, Long, Little Andaman, Smith and Ross — have been identified for the project and another 12 islands will be added later. Improvement of connectivity has been given the top priority to promote tourism, the official said. Four tourism-based projects have been developed under the Public Private Partnership (PPP) model. Requests for Qualification (RfQ) have been floated for projects in Long Islands, Smith Islands and Aves Islands while Coastal Regulation Zone (CRZ) clearance has also been obtained for these four projects including at Neil Island. The lifeline of the Andamans, the Andaman Trunk Road, is all set to receive an upgrade following the grant of CRZ clearance in December 2018 for the Middle Strait Bridge, another official said. In principle approval has also been obtained for Chatham-Bambooflat bridge in Port Blair, in fulfilment of a long standing demand of the island residents. A Detailed Project Report is being prepared for the proposed Phase-1 of the Andaman Marine Drive from Junglighat to Dundas Point. In addition, Rs 270 crore has been earmarked for providing 100 per cent rural road connectivity in Andaman and Nicobar Islands, the official said. Out of this, Rs 100 crore has been released by the central government. According to the data available with the Union Home Ministry, more than 16 lakh tourists have visited the Andaman and Nicobar Islands since 2015 till October 2018 to see the natural beauty, beaches, flora and fauna and historically-significant landmarks in around 38 inhabited islands out of the 572 islets. The archipelago has received 4,02,393 tourists, including 11,818 foreigners, till October 2018 while it received 4,87,229 tourists, including 15,310 foreigners, in 2017.